I was in need to go visit family. A friend owns a 1972 Volkswagen Bus camper model and agreed to let me borrow it for a few days. An opportunity like that don't come around all the time; so jumped on the chance. 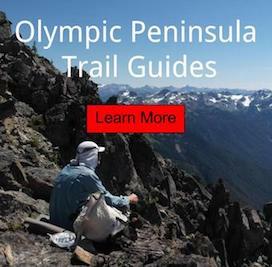 The main route would have me circling the Olympics on Highway 101 and looping back to Port Angeles. Packed up my sleeping bag and a few camping supplies. Headed out in the little bus; with hopes of sleeping where ever it would be parked for the night. Mount Storm King with fresh late March snow. VW Bus on Highway 101 at Kalaloch, Wa. Over all it was great to adventure in something older than my age. It was quite cozy sleeping as well. Can see why they are so popular. My son wants me to get a bus now.